Are you getting ready to move? Here are some helpful reminders to make your move go more smoothly. Why pay to move items you’ll just be throwing away later? Set aside time before you begin packing to do a thorough top-to-bottom house cleaning. As you go through every item in your house, from family photos to old clothes, ask yourself which category it goes into: Keep, Consolidate, Donate, Recycle or Toss. Moving takes a lot of energy and time. Don’t put it all off until the night before the movers arrive. Remember, packing is hard work and it takes time to do it well. And that’s only half of it! When you get to your new place, you’ll need to unpack everything as well, so save some energy for when you get there! Cardboard moving boxes or old paper cartons can be used for many things before, during, and after your move. 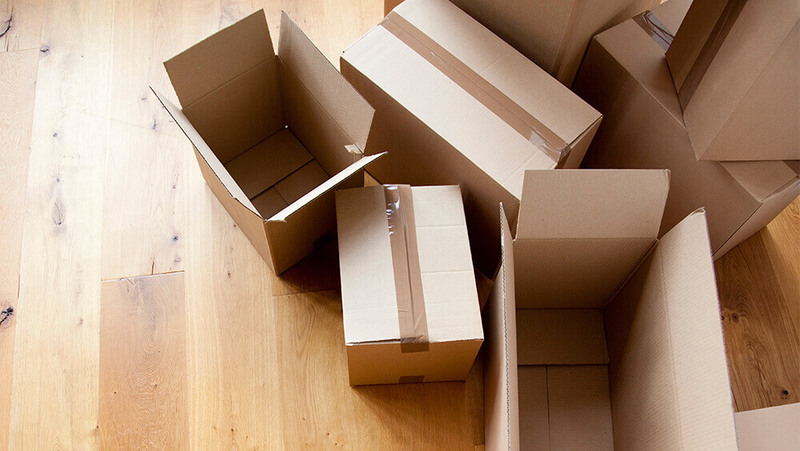 For instance, well-made cardboard boxes are easy to pack and stack well, making your move go more quickly and easily. After the move, they are great for items you want to keep stored away or donate. They can also work well as a shelf system for toys or other lighter items. As a fun project, your moving boxes can even be decorated and used for holding magazines, toys, knitting supplies or countless other things. A lost or crashed hard drive can be a disaster. Be sure to back up all your important information. A hard copy can put your mind at ease. Dedicate one box to all your most important papers, including tax returns, bank statements, passports, birth certificates, etc. Take this box with you in your car so it doesn’t get lost in the shuffle. Be sure to contact your utilities companies for both your new and old places to make sure the power is on in your new home and the billing correct for each place. Be sure to complete a change of address form at your local post office so that you continue to receive your mail at your new address. If your cable service company has provided you with a cablebox/digital converter, you will likely have to return it to the cable company before you leave. Set aside one box for sheets, towels and toothbrushes so that you are prepared for your first night in your new place. Set this box aside and bring it with you in your car if you can. You might want to include a flashlight (check the batteries first!) in case an emergency situation arises. Cleaning supplies are also something you might want to take with you or pack in a special box for when you first arrive. As you pack, think of each room in your new home. Try to pack items that will go in the same room into the same box to save time later. Give each room in your new home a letter and mark each box with the appropriate letter so the movers know where to put it. Print out a list or floorplan for the movers that tells them which letter corresponds to each room. Pack heavy items like books and records in smaller boxes, and lighter items like pillows in larger boxes. Heavier flat items, like records or dishes, should be packed on their sides, not stacked on top of each other. This will help reduce breakage in the move. Leave sealing your boxes for the last thing you do. You don’t want to have to unseal a bunch of boxes to find an item you suddenly need. Keep everything open as long as possible. Remove the bulbs from any lamps or lights that you are moving. It takes a little extra time, but your lights will work when you unpack them and put the bulbs back in. Tape remote controls to the devices they control so you don’t have to go hunting when you are tired and just want to relax in front of the TV. If you are taking apart any furniture, wrap and tape the legs together, and tape the nuts and bolts to the bottom of the largest piece, so you know where to find them. Try to plan your menu to use up as much of the food in your fridge as you can in the week leading up to your move. This will give you less food to move. Be sure to check the freezer before you go! Did you ever measure your children against a door jamb? You may want to bring that door jamb with you! Or, you could make a list of the heights and dates, and recreate it in your new home. Are there other important memories that you can bring along to help make your new place feel like home more quickly? Keep a copy of your moving invoice handy on the day of the move. Be sure you have your mover’s contact information and your job number in case there are any delays or unexpected events. Your time in your home has given you useful knowledge. Do you know of a good plumber, electrician, gardener, or contractor? How about your favorite restaurant or local pet store? Leave a note behind for the new owners of your old home sharing the names and numbers of the people who have helped you enjoy your time there. It’ll help the new owners get off to a good start, and, if you’re lucky, you’ll find just such a list in your new home! If not, your realtor is also a good source of helpful information to get you started.